The Ledge at the Willis Tower will be lit up for the first time to celebrate the Chicago Blackhawks entering the Stanley Cup Final. 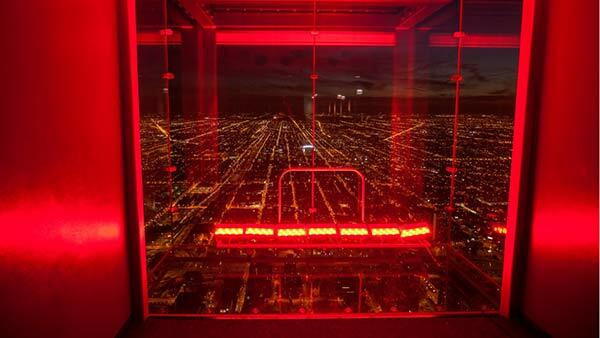 CHICAGO (WLS) -- The Ledge at the Willis Tower is being lit up for the first time to celebrate the Chicago Blackhawks entering the Stanley Cup Final. The Ledge will be illuminated in red on Wednesday night. It extends four feet from the skyscraper's 103rd floor and is more the 1,300 feet above the city.